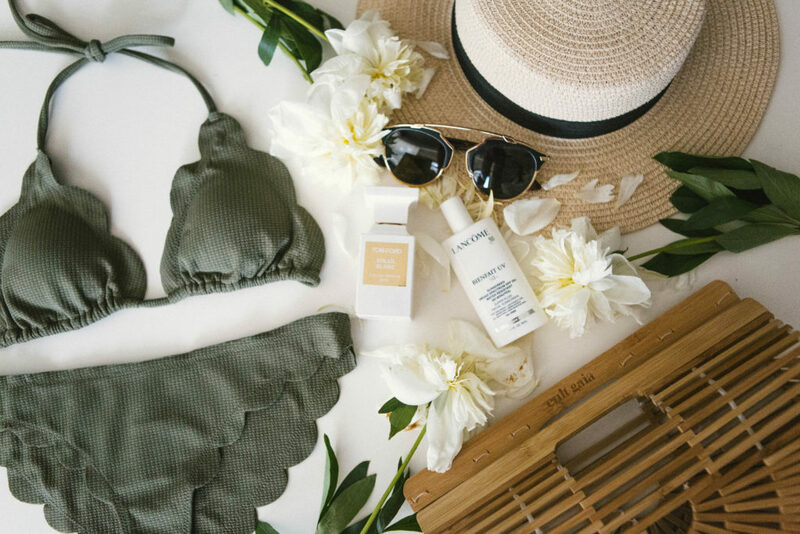 What is summer without a chic swimsuit? I had been eyeing Marysia swim pieces for the longest time and when I saw that it came in this olive green, I just had to have it. I love how simple it is and the scalloped edges give it perfect amount of femininity. Not to mention, it’s just really really good quality. I got tired of buying cheap swimwear, just to have it fall apart after a few wears. Although Marysia runs on the pricey end, it’s definitely one of those classic investment pieces that’s so worth it. But I totally understand that not everyone wants to spend that much, so I linked my other favorite scallop pieces below! I love perfumes, like to the point where it’s a bit obssesive. I’m always trying and buying new scents. But there are a few that I consider staples for each season. 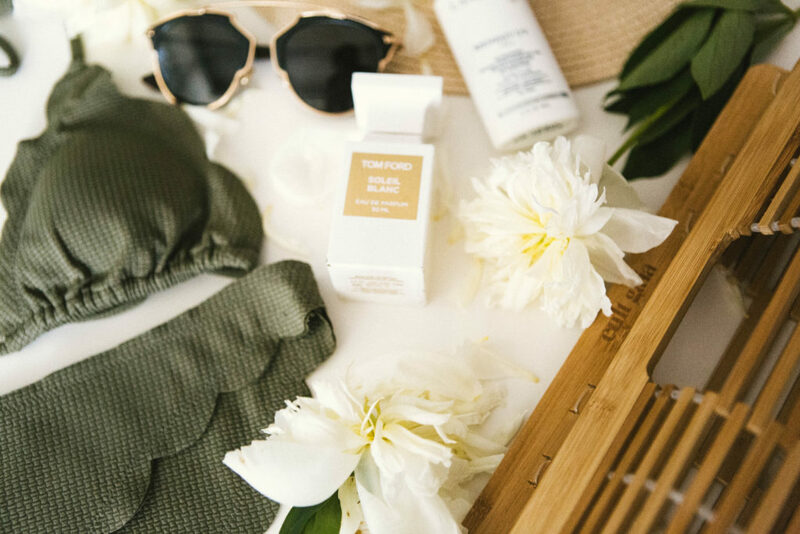 One of my staples for summer is the Tom Ford Soleil Blanc, because it reminds of the hot summer nights. It’s light and floral yet unexpectedly sultry…it just smells amazing. If you have smelled it, definitely check it out and ask for a sample next time you’re at the mall! My other new obsession is Le Labo’s Santal 33, which I’m sure you’ve seen all over instagram…but there’s a reason for that. It also smells AMAZING. Jo Malone are my go-to for everyday scents that are light and fresh. Below are some of my favorites! 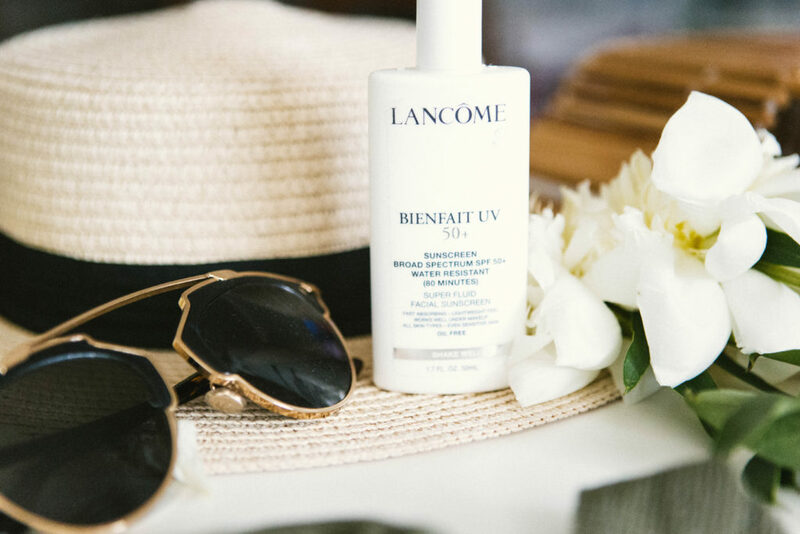 If I was stranded on an island and had to pick one beauty product to bring…I’d chose sunblock. EVERY TIME. It’s probably the most important step in your beauty regiment. I wear it EVERY DAY. Even if you just work in the office and don’t go outside much, you should still wear it daily because you’re still exposed if your desk is near a window and definitely when you’re driving. UVA rays can penetrate glass so you’re not really safe unless you’re wearing sunblock!! Okay, enough of my ranting…I’ve used many many sunblocks over the years and finally found my favorites. 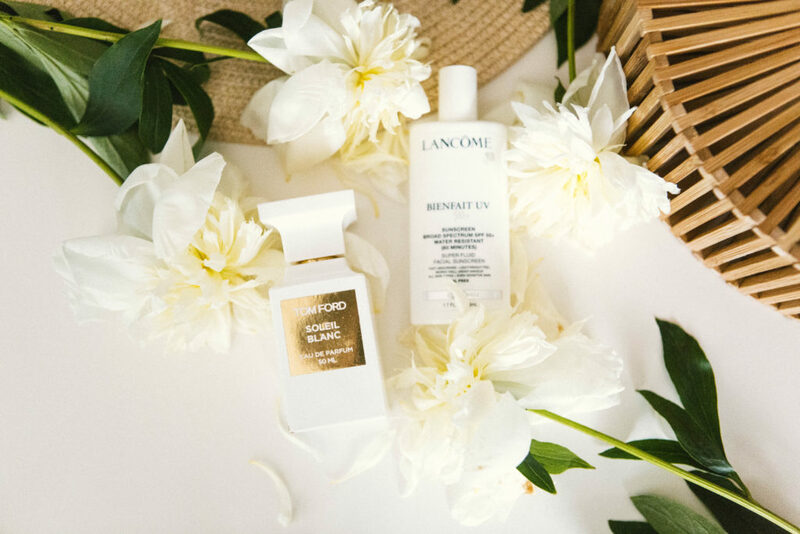 I rotate between this Lancome Bienfait UV SPF 50 and the Cle De Peau 50+ Protection Cream. The lancome is my daily one- because it goes on matte, is amazing under makeup and is a thiner consistency. 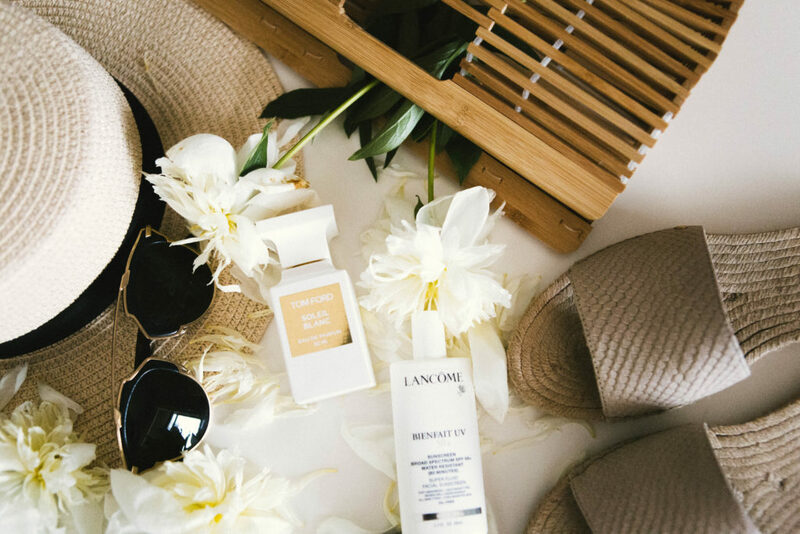 But on days when I feel like I’m going to be in the sun a lot , like at the beach, I use the Cle De Peau which is a thicker, creamy consistency. I’ve linked the sunblocks I’ve used and tested below! 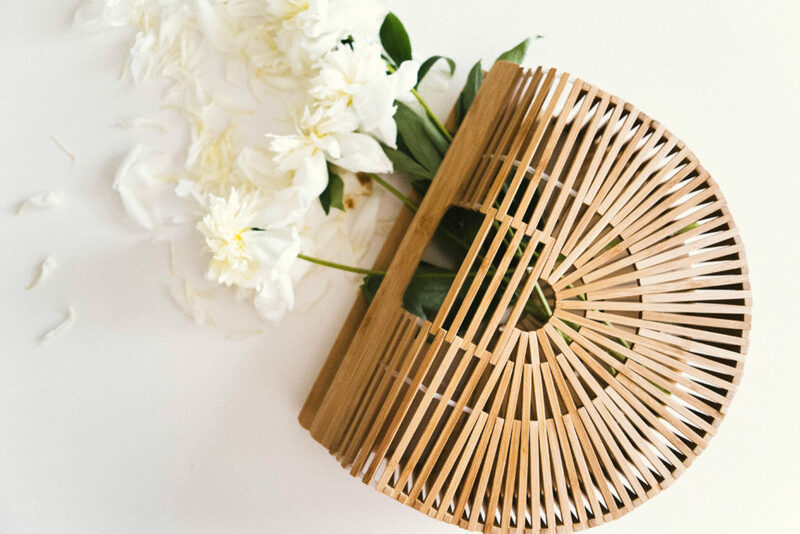 I know you’re probably sick of seeing this Cult Gaia Ark bag on instagram but it has a cult following and is nearly impossible to get for a reason… it’s just effortlessly chic. It literally matches everything…and so super lightweight. Although it’s a statement piece, it’s also a classic that you’ll be wearing over and over again, year after year. It’s actually on pre-order now so hurry and go get one! This new circle bag by Cult Gaia is next on my list. Below are my other favorite styles for summer! I might just be lazy, but I LOVE slides. I don’t know why, but to me they’re so much more comfortable than flip flops and not to mention, much more chic. I got these beige UGG espadrilles on sale from Zappos ( link here) and literally wear them everywhere. They’re such good quality and I love the embossed leather. Slides are definitely a summer essential and I linked a bunch of cute pairs below that are under $100! This is a given. 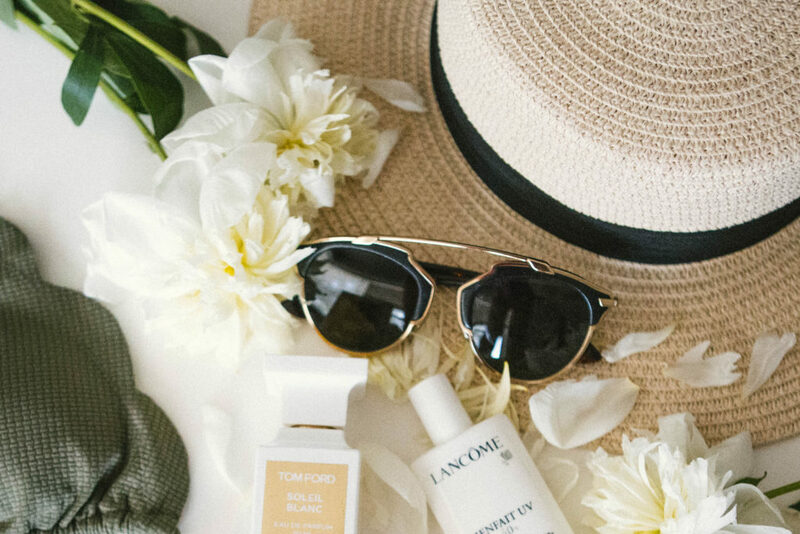 You definitely need a pair of chic shades for the weekend brunches, beach days, those mornings when you drank too much the night before and for keeping the eye wrinkles away. I love my Dior So Real pair for hot summer days or boozy brunches but for the beach, I’ll switch to my Ray-Bans or Saint Laurent pair. Statement glasses are always fun for the beach too! I love buying cheaper pairs like these and this mirrored pair. Shop my favorite sunnies below! Hey love the sunglasses. That’s one thing that I need to buy again. Everything else I can dig back out again in a few months – I thnk!